It’s well established that a course of antibiotics can weaken your immune system. This is because the bacteria in your gut are critical to proper immune function – but unfortunately antibiotics do not differentiate between “good” bacteria and “bad” bacteria, and kill both indiscriminately. Therefore antibiotics cause a reduction in both the numbers and range of bacteria in your gut. This causes gastrointestinal inflammation and vulnerability to pathogens like C difficile – hence cases where a course of antibiotics may lead to a serious C difficile infection. Researchers have found that Salmonella can cause infection at a dose 1,000 times lower if the patient is on antibiotics! Furthermore the reduction of “good” bacteria in your gut also leaves you vulnerable to re-population by “bad” bacteria. A prebiotic is a food for the microbes in your gut and encourages the growth of a healthy ‘microbiome’ (the collective noun for the approximately 100 trillion microbes in your gut). Fruits and vegetables and grains contain prebiotics which are non-digestible fibres. Prebiotics encourage healthy fermentation in the gut. Prebiotic foods include oats, wholegrains, lentils, beans, onions, leeks, prunes, many vegetables, figs and nuts and sauerkraut. Probiotics are foods that already contain beneficial microbial bacteria like L. plantarum and Bifidobacteria and Akkermansia. These include certain yogurts. The combination of these prebiotic and probiotic foods helps restore a healthy range and number of intestinal bacteria. You should simultaneously consider taking ImmunoShield which will boost the numbers and activity level of especially macrophages and neutrophils, which are key components of the innate immune system. Macrophages are cells that recognise, engulf and destroy cells, organisms and substances that are potentially harmful (eg. bacteria, viruses, and fungi). Neutrophils are the most abundant cells in the innate immune system and part of your front line of killer cells operating against viral and bacterial threats. 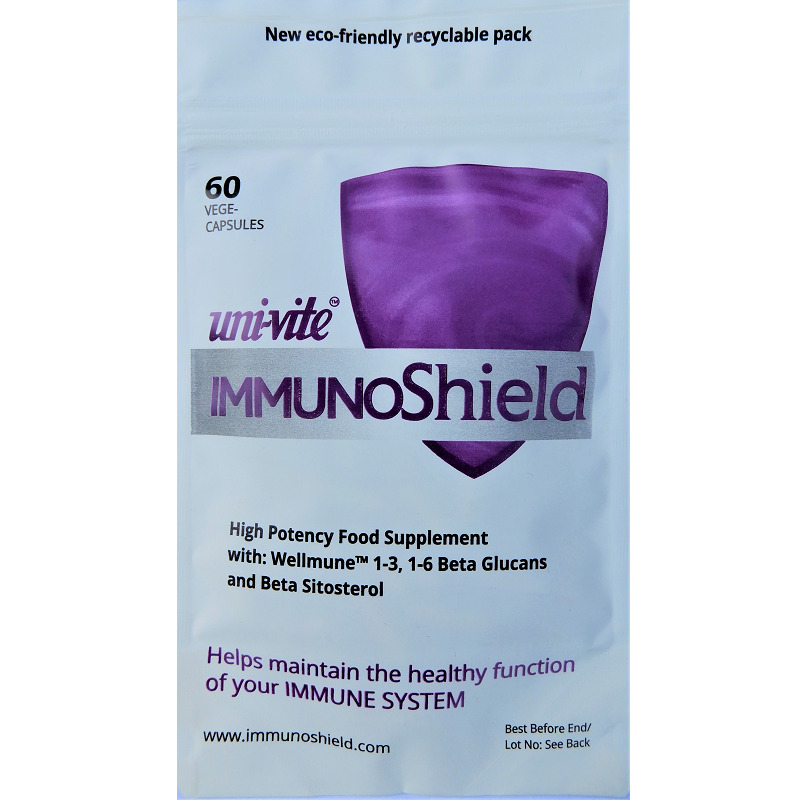 Published research demonstrates that the main active ingredient in ImmunoShield (Wellmune ® 1-3, 1-6 beta glucans) mobilises immune cells to move faster and in increased numbers to foreign intruders and destroy them more effectively. In addition get regular exercise and a full 8 hours of sleep.